We will prepare the I-539 Application for reinstatement and follow up for the duration of time it takes for approval. We will issue your new I-20. While You must attend classes immediately and maintain full compliance according to SEVIS I-20 regulations as an F/1 student while your case is pending. The process may take twelve months. This is a FREE SERVICE that we offer you. Your reinstatement of your F/1 Student Visa is valuable. Your legal status is important to you as it is to us. For that reason, we offer our student assistance at no charge. Explain why you are requesting F-1 reinstatement. You need to explain why you are ‘out of status’. Indicate all reasons up to when you fell ‘out of status’. Explain any circumstances that have caused you to become “out of status”. 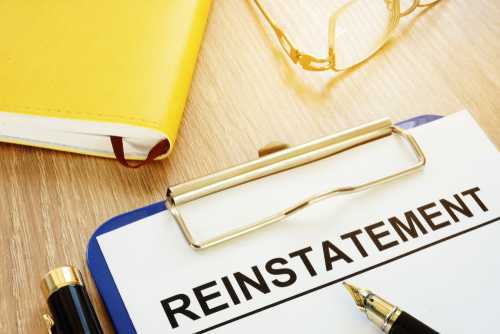 Discuss the effect on you should you not receive reinstatement. State that you are currently attending with full compliance; continuing with your original plan of study and respectfully request USCIS reinstate you back to F-1 Student Status. You will be considered as legal status while this application request is pending approval. It is important you continue to attend classes and keep financial obligations on a current basis. Full compliance is now very required.